The Tunica Hills region is located in the geographical corner between southwestern Mississippi and southeastern Louisiana. Ice Age climate variations instead of tectonic processes created these uplands. During times of glacial expansion the Laurentide glacier scraped bedrock in the upper midwest, grinding it down into what geologists actually call “rock flour.” During interstadials meltwater pulses carried this rock flour down the Mississippi River. The warm climatic phases that caused meltwater pulses always preceded changes to cold arid conditions. The decrease in precipitation led to a greatly reduced flow in the Mississippi River, and massive amounts of river sediment became exposed to the air in giant sandbars and dunes. The windy environment of this glacial stage blew this river sediment, which consisted largely of rock flour (also known as loess), to the east where it settled in big hills. So the Tunica Hills are actually great big piles of midwestern rock dust. Later, streams (known as bayous in Louisiana) eroded through the hills and cut through fossil deposits of different ages, washing Miocene, Pliocene, and Pleistocene fossils into the water for today’s fossil hunters to find. Ravine in the Tunica Hills. The walls are made of midwestern rock dust blown here during the Ice Age. From google images. The loess buried and preserved lots of paleobotanical evidence from the last Ice Age–not only pollen but macrofossils such as logs, cones, and leaves. The age of the pollen and fossil plants gives us a continuous record from 24,500 BP-17,700 BP, the height of the Last Glacial Maximum. (The Laurentide Glacier reached its southernmost extent 18,000 BP, but I consider the whole time span of ~28,000 BP-~15,000 BP to be the LGM because that’s when Wisconsinian Ice Age climate was the coldest. However, there were several weak and brief interstadials within this timespan.) Scientists found evidence of a forest dominated by spruce but with hardwoods such as oak, beech, elm, hickory, walnut, and maple present. Spruce made up 40%-70% of the pollen, pine 6%-17%, oak 3%-10%, and other hardwoods <2%. Grass and composites such as aster, daisies, and sunflowers were also well represented, indicating widespread meadows. Dwarf mistletoe, an interesting parasite that grows on spruce trees, was abundant. At first scientists misinterpeted this data because they catalogued the spruce fossils as belonging to an extant boreal species–white spruce. But in 1999 scientists identified the species they were finding as an extinct temperate species they’ve named Critchfield’s spruce. Formerly, scientist believed that during the LGM the Tunica Hills region was comparable in climate to the modern day Great Lakes region. Critchfield’s spruce was likely adapted to warmer climatic conditions than white spruce, nullifying this previous assumption. Instead, climate in Louisiana then was probably only slightly cooler than today. Conifers and grasses grew better in an Ice Age atmosphere with lower CO2 levels than did broad-leaved trees. This probably accounts for why Critchfield’s spruce became a dominant tree over hardwoods. It was lower atmospheric CO2 rather than lower temperatures that facilitated the growth of this forest. 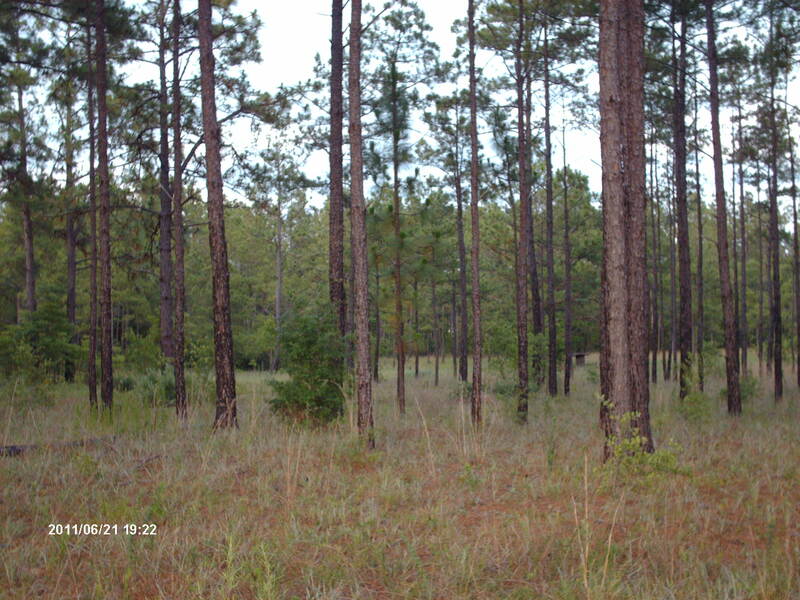 This unique ecotone of dominant spruce with mixed hardwoods and meadows stretched all the way from Tunica Hills east to Kentucky, Tennessee, and western Georgia. Critchfield’s spruce fossils have also been found in 2 different localites in western Georgia and 1 in Tennessee. 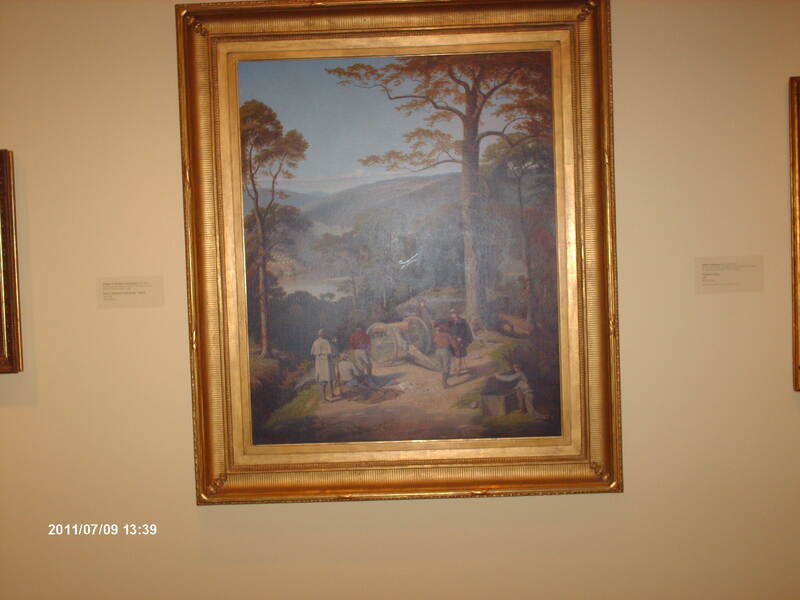 Eastern Georgia and South Carolina had a somewhat different landscape with more pine and oak, though spruce was present. West of Tunica Hills an open oak (probably bur oak) and cedar savannah prevailed–grasses and composites made up 20%-50% of the pollen, oaks 10%-25%, and spruce 1%-15%. Today, Tunica Hills supports an unusual forest for the region. Beech, magnolia, and holly are dominant but many species occur including laurel oak, water oak, osage orange, hackberry, maple, silver bell, paw paw, and river cane. Cool ravines provide relief from the hot southern sun, so trees with northern affinities grow next to warm climate trees. A disjunct population of eastern chipmunks resides here. The Miocene deposit is located geologically in the Pascagoula Formation. It’s believed to have been an estuary then. The Miocene (25 million BP-5 million BP) could be known as either the age of the horse or the age of the rhino because they were the 2 most common large mammal species then. 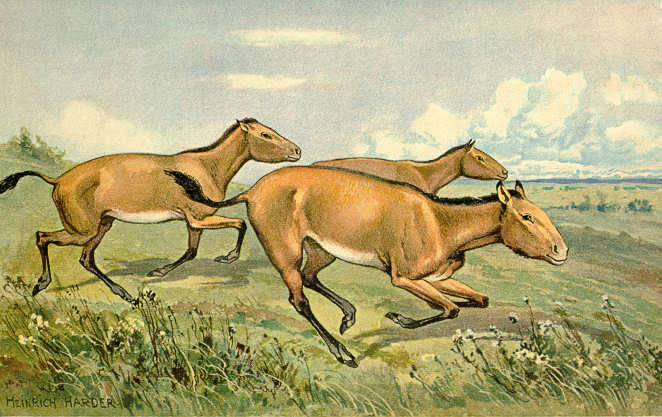 Hipparion–a 3 toed gazelle horse common during the Miocene. Miocene Louisiana was mostly tropical. A synthetocorus. What an odd hooved animal. Note the bone on its nose. Mammut mathewii roamed what was to become Louisiana then. It was an early form of mastodon. Giant tortoise, alligator, snake, and fish remains were collected as well. Some of these species survived to early in the Pliocene but among the 3-toed horses, only Nannihippus aztecus survived to the end of the Pliocene, sharing the range with the 1 toed modern genera of horses which then included the American zebra. A list of Pleistocene fossils collected from the Tunica Hills region consists of the familiar animals discussed on this blog–Jefferson’s ground sloth, Harlan’s ground sloth, horse, saber-tooth, giant armadilloes, and grouse. A glyptodont fossil is the most recent addition to the Tunica Hills fossil list. This year scientists identified glyptodont scutes and a partial rib from a Tunica Hills creek. This is the first find of this species between Florida and Texas. 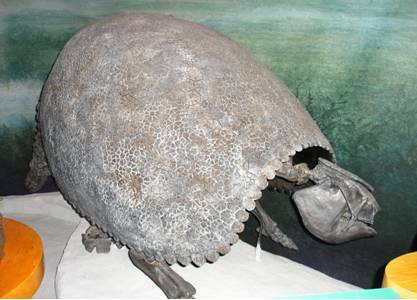 Reconstructed glyptodont displayed at the University of Florida museum. I don’t know if this is a replica or the real bones. Scientists refer to fossils found in the bayou as “float” though they don’t literally float but are usually recovered by sifting the bottom. The age of the fossils in Tunica Hills can’t be determined based on stratigraphy because streams eroded them from different age strata, but scientist have figured out how to used an interesting method to distinguish whether a fossil is late Miocene/early Pliocene or Pleistocene. Some of the highlighted elements (known as rare earth elements) are the ones that can be used to determine which age a fossil belongs to. The ratio of these elements varies in the environment over time. Scientists use knowledge of rare earth elements to determine the relative age of different fossils. One collegel student, Lindsey Yann, conducted a study for her Masters thesis comparing the ratios of rare earth elements in different fossils found in the Tunica Hills bayous. Rare earth elements (a bit of a misnomer because they’re not particularly rare) include elements on the periodic table numbered 57-71. They occur in groundwater in certain fixed ratios. Animals absorb ground water by ingestion and then for thousands of years after they die their bones continue to become saturated with it. Eventually, the bone reaches a saturation poiunt and won’t take in any more. The ratio of rare earth elements in that particular fossil becomes fixed. However, over millions of years the ratios of rare earth elements in ground water changes. So an animal that lived 5 million years ago will have a different ratio of rare earth elements than an animal that lived 25,000 years ago. I couldn’t find an illustration of mastodons yanking down grape vines from tree tops. Grape vines co-evolved with Pleistocene megafauna. Today, they thrive and produce fruit most abundantly when humans prune them aggressively. Grape vines do not produce fruit on old wood, so pruning is necessary for them to bear. In North America before man colonized the continent, mastodons were the stewards of wild Pleistocene vinyards. Grape vines covered many square miles of forest, especially during warm wet interglacials and interstadials. When Europeans felled virgin timber they also removed century old grape vines with 12 inch trunks–a rare site today but something mastodons must have encountered frequently. Young grape vines will colonize second growth and oftentimes reestablish themselves as a dominant component of the local flora. They are resilient plants adapted to being ripped apart and chewed upon by beasts such as mastodons and ground sloths. A herd of mastodons chomping down on a grape vine wouldn’t necessarily stamp it out of existence. Grapes not only produce seed-bearing fruit on new shoots, but they can also spread vegetatively. Vines growing on the ground get covered with leaves and forest litter. The buried vines then sprout new roots and new vines can spring up quite a distance from the parent. A mastodon could rip apart a vine, carry it or toss it many yards away, and if the vine got covered by leaves and moist dirt, it wouldl survive as a new individual. So even if no animals eat the fruit and spread the seed in their dung, grape vines will still spread like an unstoppable alien plant from a science fiction movie. By spreading vegetatively, they can even survive late spring freezes which prevents any fruit production. These grape vines sprouted from roots originating from vines extending from another grape vine that I’m growing on a fence. 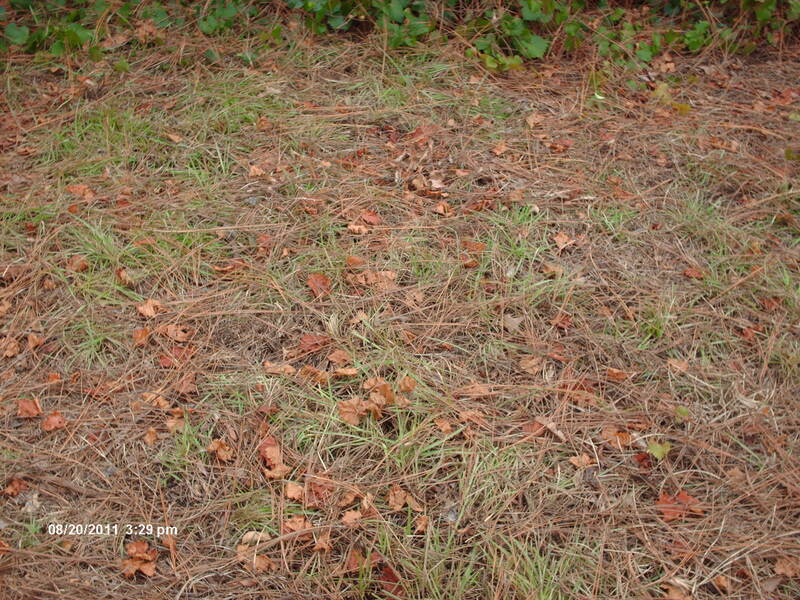 Pine straw shedded from nearby trees covered grape vines growing on the ground. Under the litter they sprouted more roots and then more vines. The city sent me a registered letter declaring this a code violation. It doesn’t seem like the government has the right to tell people how big plants they grow on their private property can get. This is the after picture. I did clear up the contested area, but it felt like I was fighting a plant monster from a science fiction movie. 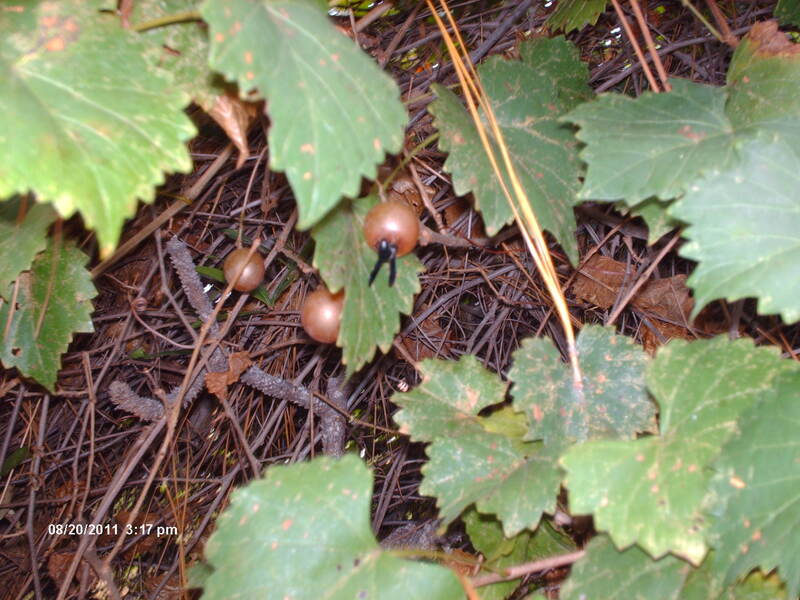 Five species of wild grape grow in Georgia today and likely grew here during the Pleistocene, being abundant during interstadials and interglacials but limited to local relic status during cold dry stadials. Supposed to be common in Georgia, but I’ve never seen one here. They resemble concord grapes in appearance. Supposed to be rare in state, but it’s the only one other than muscadine I’ve ever seen here. They’re a small black grape. Considered uncommon in state. Another blue grape similar in appearance to Concord. Very abundant in state. I can almost always find this species growing wild in any second growth or overgrown vacant lot. Or my backyard where this sprouted up under an oak tree. The wild variety that grows in Georgia is a purple grape when ripe. Scuppernongs are a greenish/brown variety of muscadine, originally found growing along the Scuppernong River in North Carolina by early European explorers (Giovanni Verrazzano in 1504 and Sir Walter Raleigh in 1585). Cultivated muscadines are my favorite grape to eat, but I don’t ever buy them in chain supermarkets–they’re always picked too early and have no flavor. Instead I buy them at fruit stands or eat the ones I grow myself. 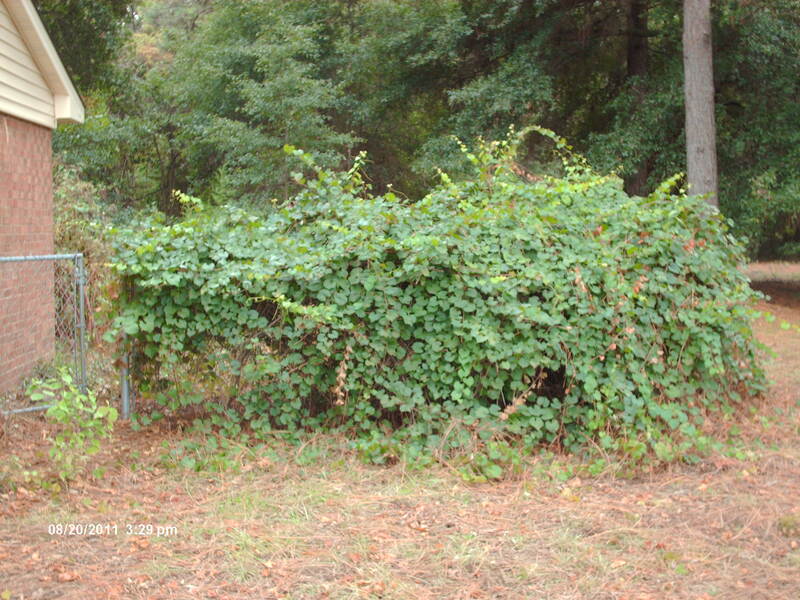 These are my two cultivated scuppernong vines. They’re 20 years old. Muscadines have tough skins and seeds but they’re the sweetest grapes and by far have the best and most distinctive flavor. Most grapes sold in the store, such as Thomson seedless and Flame Red, are bland by comparison. Four varieties of muscadines grow in my yeard. 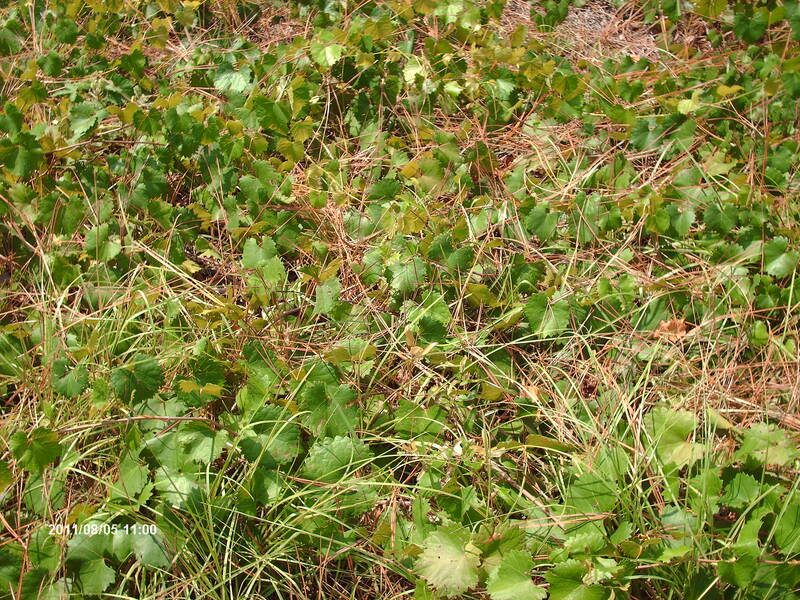 Wild muscadines sprout naturally. One of the vines I planted is the original scuppernong variety which is excellent for a wild grape but not nearly as good as the improved variety that I planted next to it. I can’t recall the name because it has been so long since I planted it. The latter is bigger, sweeter, and not as tough. Last winter I planted a variety known as the giant black muscadine but it hasn’t produced fruit yet. 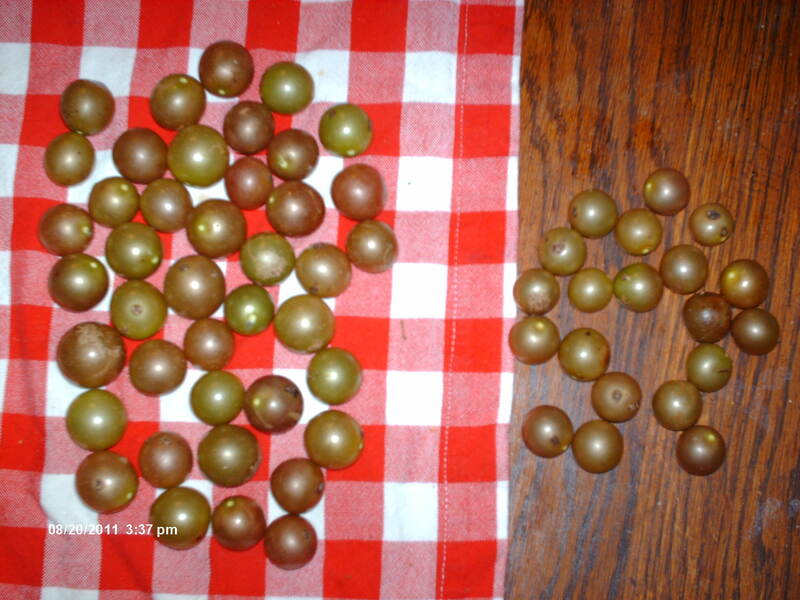 A cultivated variety of scuppernong is on the left, the original wild kind is on the right. Experts say muscadines have no pests but this is not true. Yellow jackets and wasps will destroy about 1/3 rd of the fruit every year. Some years my vines have produced over a gallon of grapes, not counting ones eaten by yellow jackets. When picking, one must be careful not to grab a grape in which a stinging insect has burrowed. Note the blue-winged wasp (Scolia dubia?) feasting on one. I made good scuppernong wine once. It was dry, not sweet. I put a teaspoon of cinnamon in one bottle and let it age for a few years for the best spiced wine I ever drank. The muscadine wine sold in stores is terrible–usually sickeningly sweet and harsh. Young grape leaves are also a gourmet edible. Add 20 young grape leaves to stew with beef for a unique fruity but not sweet flavor. They can also be stuffed with rice, ground beef, or mushrooms. Considered an occasional grape in the south. It’s another blue grape like Concord. It doesn’t become sweet until frost when it begins to decompose. Most supermarket grapes are descendents of crosses between some of the above mentioned grapes and varieties of European grapes–Vitis vinifera. Worldwide, all grapes are grown on American grape rootstocks which are resistant to a disease that wiped out Vitis vinifera rootstocks. Peppervine and Virginia Creeper are also in the grape family. The latter is a tenacious vine too. Ruffed Grouse (Bonasa umbellus). “Fool Hen” of the Pleistocene? Photo from google images of a ruffed grouse. The ruffed grouse (Bonasa umbellus) prefers habitat that is quite the opposite of that favored by the bird I discussed last week. Whereas the ivory-billed woodpecker required deep virgin forests in lowland swamps, ruffed grouse need frequently disturbed early successional forests growing on the uplands of elevations over 1000 feet. Ruffed grouse range. Lighter pink indicates low population density, darker pink indicates higher density. Most of the ruffed grouse’s present day range was under glacial ice during many Pleistocene climate phases. The ruffed grouse is a rare bird in Georgia today, inhabiting only the northern mountain region. According to the state DNR rare stragglers have ventured as far south as Clark County, but I think this is not based on a recent sighting. This bird is declining in state due to fire suppression and the regrowth of clear cuts into mature timber. During the 2005/2006 season (the most recent year for statistics online), hunters only bagged 28 or .13 per hunt. They may be more common than this indicates, however, because they live at high altitudes. All but the most vigorous hunters avoid these strenous terrains. Nevertheless, they’re definitely not common in the state. I’ve never seen one. I’m interested in this bird because their bones were the most common avian specimens excavated from Kingston Saltpeter Cave in Bartow County, Georgia which is just south of where they currently range today. Fossil evidence of ruffed grouse has also been excavated from Tunica Hills, Louisiana and Arredondo in Florida, proving this bird once ranged much farther south than it does today. From fossils found in Kingston Saltpeter Cave scientists counted 191 ruffed grouse bones from at least 31 individuals. They also found 31 bones that probably belonged to ruffed grouse but from their condition couldn’t be definitively differentiated from spruce grouse. This makes the ruffed grouse by far the most common bird species found at the site with passenger pigeons coming in a distant second with 35 bones from at least 5 individuals. Ruffed grouse bones were also the most common among bird fossils excavated from Bell Cave in northern Alabama. This data suggests ruffed grouse were formerly the most common bird in the southern Appalachians during the Ice Age, though not necessarily. The presence of bird bones in cave deposits can usually be attributed to predators transporting them there. It may be they were the easiest for predators to kill, accounting for a higher frequency than their actual numbers. Also, ruffed grouse are a permanent resident, while passenger pigeons were migratory. Passenger pigeons likely outnumbered grouse during certain times of the year. Anyway, it’s evident ruffed grouse were a common bird in the upper south during cooler climate phases. Today, ruffed grouse prefer shrubby dense woods with sunny thickets. They like woods with oaks for mast and evergreen trees for cover. They live in young stands of trees with some mature mast-producing trees left standing. The Georgia DNR has very specific recomendations for managing grouse habitat. For grouse habitat they recomend clear cutting or burning 5-20 acre plots, leaving clumps of oak saplings as well as shrubby hedgerows. Clover should be planted; grapes, dogwoods, and blueberries should be fertilized. Although the chicks eat insects, the adults are mostly vegetarian subsisting on acorns, fruit, flowers, buds, young leaves, mushrooms, and twigs. The excavated fossils from KSP date to ~15,000 calender years BP (from a 12,470 year radiocarbon date on a deer bone), the beginning of a warm stage of the last Ice Age known as the Boling-Alerod. Habitat must have been frequently disturbed during this climatic stage. Paleo-Indians, if present this early in the region, were likely just passing through, and not populous enough to have much of an impact on the environment. It must have been natural forces that shaped grouse habitat 15,000 years ago. Frequent storms caused by glacial cold fronts mixing with warm gulf air sparked numerous tornadoes and lightning-ignited fires that wrecked whole stretches of forests. While traveling through north Georgia this summer I witnessed much tornado damage from this year’s uncommonly stormy season. A few mature trees would often remain standing in the otherwise devastated lots–similar to what the Georgia DNR recomends for grouse habitat. Clear cutting and controlled burning merely mimics these natural forces. The climatic conditions of the Boling-Alerod probably caused deeper snows in north Georgia than occur during present day winters. Grouse like to use deep snow as cover, and they’ll fly directly into snow banks. Deep snow helps grouse escape predators. The lack of deep snow in the south may be one reason they’re absent in the region today. Mastodon and giant ground sloth foraging shaped favorable grouse habitat as well. Browsed trees sprout nutritious new growth, and the plants grow in a more shrubby pattern. The new growth provided food for grouse; the shrubby growth pattern added cover. 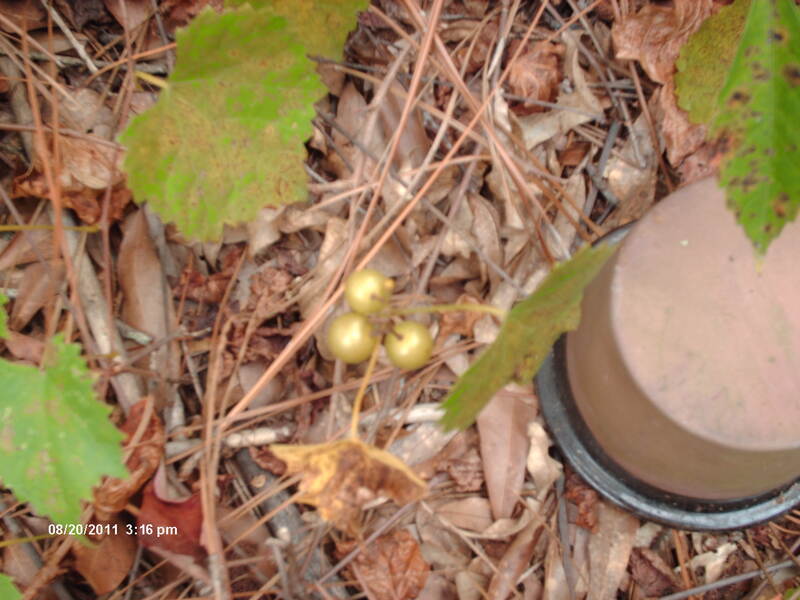 Georgia’s DNR recomendation to fertilize fruit-bearing plants mimics former megafauna dung-depositing. In remote areas grouse tend to be naive birds easily hunted. Early settlers referred to them as “fool hens” because young boys could walk up to the birds and kill them with stones. Dersu, the trapper, showed V.K Arseniev how to save bullets and catch an unwary species of grouse living in an unexplored part of Siberia 100 years ago. Since then, grouse have learned to be afraid of man, but the first Paleo-Indians traveling through the south must have utilized them as a plentiful food source. The ivory-billed woodpecker’s extinction (circa 1950) frustrated ornithologists from Cornell University who unsuccessfully tried to save the species in the 1930’s and 1940’s. In 1942 they knew of only 22 individual birds living in a handful of widely scattered sites in Louisiana, South Carolina, and Florida. The ornithologists couldn’t stop final dissolution of the old growth forests at these sites. Researchers have been unable to support a recent claim that the species had been rediscovered in Arkansas. Scientists from Cornell University should be ashamed of themselves for publicly announcing the false rediscovery based on a grainy film of a bird, that looks to me, to be quite obviously a pileated woodpecker. There were 2 species of large woodpeckers in the Campephilus genus. Both required extensive tracts of virgin forest, both became extinct following the felling of these forests; and crackpot cryptozoologists still claim to see both of them in the woods on occasion. Until hard evidence exists, I consider them long gone. Historical range of the ivory-billed woodpecker. It required large tracts of virgin bottomland forest to survive. The ivory-billed woodpecker inhabited river bottomland swamps in southeastern North America. Although they often nested in cypress swamps, they foraged in adjacent river bottomland hardwoods dominated by sweetgum and oak. Bottomland hardwoods grow on higher terraces than cypress swamps and are only flooded for a short time of the year. Ivory-bills were the largest and strongest woodpeckers north of the Rio Grande. They specialized in foraging on trees that recently died, and this is part of the reason they became extinct. Between 1880-1950 loggers clear cut almost all of the bottomland forests in the south. Clear cutting created a landscape devoid of trees dead for 2 years or less. Ivory-bills occupied a narrow niche requiring vast acreages of virgin forests disturbed here and there by storm and fire. In the disturbed areas they could find lots of freshly killed trees. They shredded the bark more efficiently than other species of woodpeckers because they were so much larger and stronger. They were able to exploit the wood-boring beetle grubs that increased in density approximately 2 years after wood dies. The beetle grubs would concentrate between the bark and sapwood, near the surface of the snag or log. These wood-boring beetle grubs were the most important part of the ivory-bill’s diet which they supplemented with insects, fruit, and nuts. Wood-boring beetle grubs only persisted near the surface of the dead log for about 2 years. Eventually, other species of wood-boring beetle grubs penetrated deeper into the wood. Smaller species of woodpeckers continued to forage on these rotting pieces of wood which last for about 10 years, but ivory-bills abandon the food source, even though they’re capable of boring that deep with their powerful bills. This niche specialization explains why ivory-bills became extinct, while pileated and red-bellied woodpeckers still persist. Older dead wood is just more common than fresh dead wood. Ivory-bills were always a rare bird, consisting of low population densities. James Tanner, who wrote the below referenced book, estimated that in a virgin bottomland forest there were 126 red-bellied woodpeckers and 36 pileated woodpeckers for every 1 ivory-billed woodpecker. Incidentally, virgin forests have much higher woodpecker populations overall than second growth forests, supporting an estimated 3-6 pairs of pileated woodpeckers per square mile compared to less than 1 pair per square mile in second growth. Woodpeckers must have dead standing wood. Comparison between ivory-billed woodpeckers and other birds it may be confused with, especially the pileated woodpecker. The ivory-bill is larger than the pileated and has white on its backside whereas the pileated has black on its backside. I don’t know the original source of this excellent field guide but I found it on google images. Ironically, museum collectors may have eliminated any chance that ivory-bills could have survived the destruction of their habitat. In the bird’s last remaining refuges museum collectors simply wiped out the final populations, including one collector who in 1892 slaughtered the entire population along the Suwannee River in Florida. Because the ivory-billed woodpecker was always a rare bird living in low population densities, I thought it would be invisible in the fossil record. I was surprised to learn that scientists have identified fossil remains of this genus in Texas (dating to the early Pliocene) and Florida (dating to the Pleistocene). Archaelogical evidence from American Indian sites has turned up ivory-bill material from Georgia and West Virginia to Colorado, the latter two sites far outside their natural range. The Indians considered the ivory bills and the crowns of the birds to be valuable ornaments, and they were traded widely. Scientists have even analyzed mitochondrial DNA from museum specimens of these birds. Scientists differentiate two subspecies of ivory-bill: one lived in southeastern North America, and another lived in Cuba. From the mtDNA evidence, scientists determined the two subspecies diverged ~1 million years ago. Ivory bills must have reached Cuba during a glacial cycle when sea level fell and the land masses of Florida and the Yucatan penninsula were much closer to that island than they were during later interglacials. As the sea rose during an ancient interglacial, the two populations became genetically isolated. The large imperial woodpecker of Mexico (Campephilus imperialis) is closely related to the ivory-bill. During the early Pliocene the imperial woodpecker and the ivory-bill likely diverged from a common ancestor that lived in a range that was originally continuous. The former became genetically isolated in montane forests of Mexico while the latter ranged in bottomland swamps. Mounted specimen of the extinct imperial woodpecker, a close relative of the ivory-bill. It looked very similar but was even larger…the largest woodpecker on earth. Click on the following link to listen to the only existing recording of an ivory-billed woodpecker call. I always dream of living in the pristine wilderness of Pleistocene Georgia about 36,000 years ago–before people with their noisy machines, polluting industries, and aggravating rules and regulations ruined it. Because this isn’t possible, except in my imagination, I choose to go on vacation to areas that have at least a semblance of wilderness. But this involves driving and hotels. I hate driving and staying in fleabag hotels. There are too many tailgating bastards on the road who pass in no passing zones, and honk their horns, if they deem other drivers as obstacles because they’re only going 10 miles over the speed limit instead of 20. And most hotels (even expensive fancy ones) are infested with fleas, bedbugs, kids stomping on the floor in the upstairs room at midnight, and couples loudly advertising their all night libidos next door. There is so little wilderness left that it’s depressing how far I have to drive and what I have to endure to reach it. On my first wilderness trip this summer I went to Hiawassee, Georgia to visit the Charles Wharton Nature Center. I couldn’t find the address on the internet but assumed someone in the town would know where it was. I had emailed the Georgia Department of Natural Resources (they manage the site) two weeks before I left, but they didn’t respond. Well…nobody in Hiawassee ever heard of the Charles Wharton Nature Center. I wanted to see it because it was a cove forest that had plants and animals that favor northern affinities–relic populations that were more widespread in the south during the Ice Age. Instead, I settled for enjoyable trips to Black Rock Mountain State Park and Brasstown Bald which I recounted in blog entries earlier this summer. Two weeks after I returned home the Georgia Department of Natural Resources finally answered my email, informing me that the Charles Wharton Nature Center was not open to the public. While driving home through the foothills of the Appalachian Mountains, I felt sad about leaving the wilderness, so I decided to take a few day trips later in the summer to see some local natural attactions. My research led me to choose the Yuchi Wildlife Management Area in Burke County about a 35 minute drive from my house. 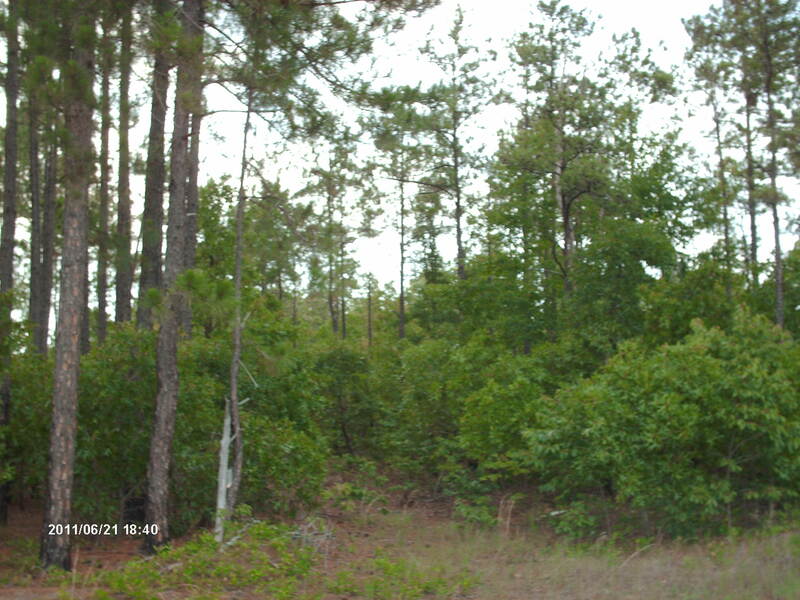 Satellite photos suggested the presence of open pine savannah, and a birder reported seeing loggerhead shrikes there. I’ve never seen a shrike and was eager to try to find one. To avoid the heat we visited in the evening. Disaster nearly struck at the management area entrance–the dirt road was a sand trap, and my Toyota almost got stuck, the wheels spinning in near futility. Obviously, 4 wheel drives were the favored vehicle here. A dead zone in cell phone service, and my disabled wife, a passenger in the car, could have meant spending the night in an uncomfortable situation in the middle of nowhere. I decided not to risk getting stuck in any sand traps and parked near the entrance far from where I’d seen what looked like open pine savannah on the satellite image. My daughter and I hiked along the dirt road. A swarm of sand gnats immediately besieged us. The constant flitting about eye and ear was so unpleasant our hike was cut short. 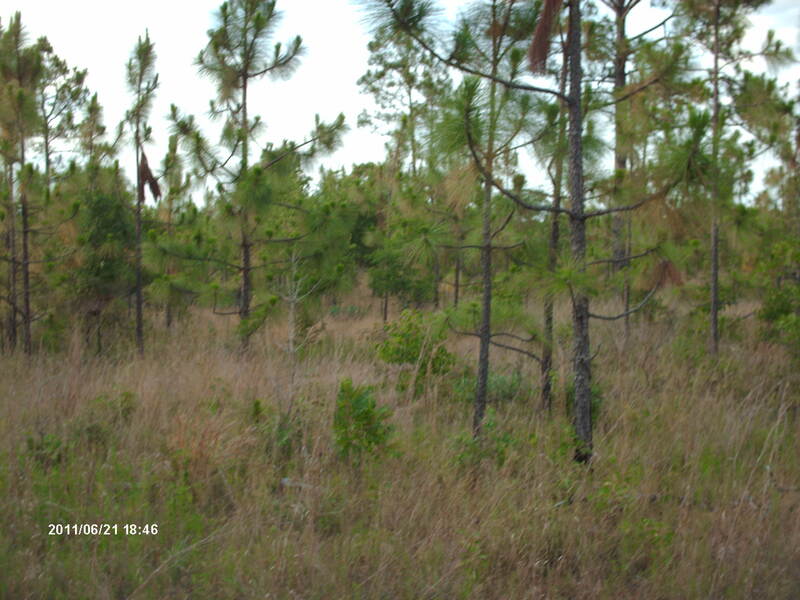 Most of the vegetation at the Yuchi Wildlife Management Area consists of loblolly pine, red and black oak saplings, sassafras, persimmon, and broomsedge grass. It’s ideal habitat for white tail deer. The area is conveniently located next to Plant Vogtle. Workers can go straight from the job to hunt in season. Sand gnats must make it mighty unpleasant until the first frost. 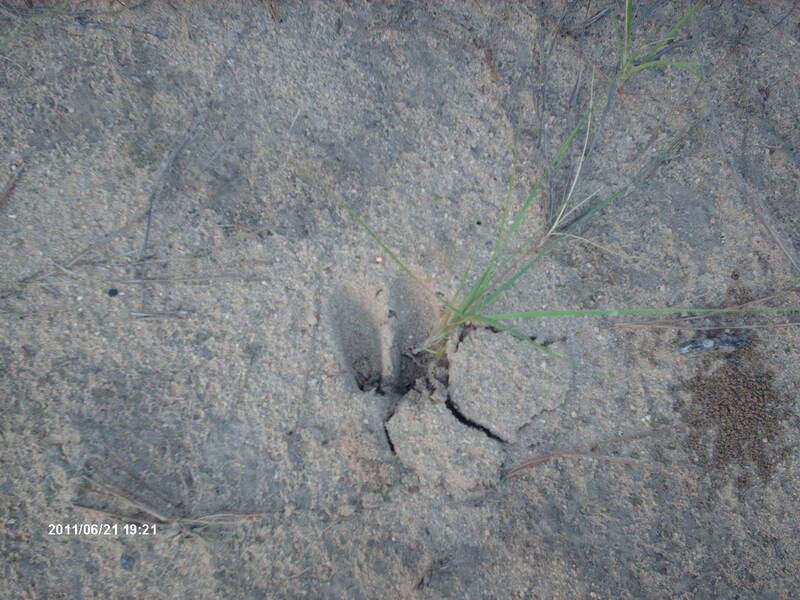 There were lots and lots of deer prints. The area looks like it was either completely clear cut recently or was abandoned farmland. I saw no trees older than 20-30 years old. The land is of such poor quality that the state manages it for wildlife because it’s uneconomical to do anything else with it. Still, it does support a lot of wildlife. 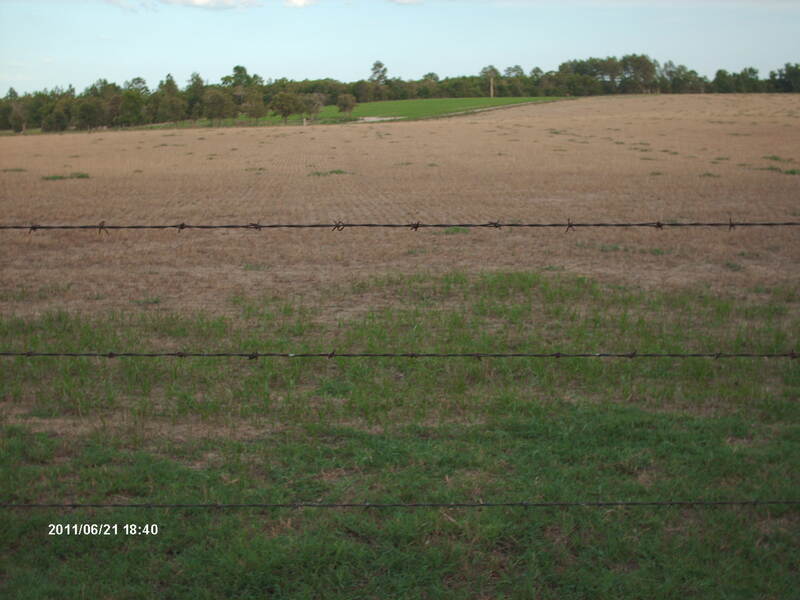 A very large peanut field borders the Yuchi Wildlife Management Area. This is part of some ideal habitat for loggerhead shrikes. Shrikes like open farmland with short young trees and barbed wire fences. They nest in low trees, find plenty of large insects and mice in the fields, and use the barbed wire to store their prey. If it wasn’t for the unpleasant gnats, I was going to walk next to this fence and look for grasshoppers, mice, lizards, and snakes that a shrike might have impaled on the barbed wire. It may not be virgin forest, but old fields can be productive wildlife habitat. This looks like open pine savannah, but actually it’s a managed dove field. I heard dozens of mourning doves cooing here. It was well worth the visit–admission is free on Sunday afternoons. There was work by other artists there as well. I forget who painted this one. I love paintings of old landscapes. 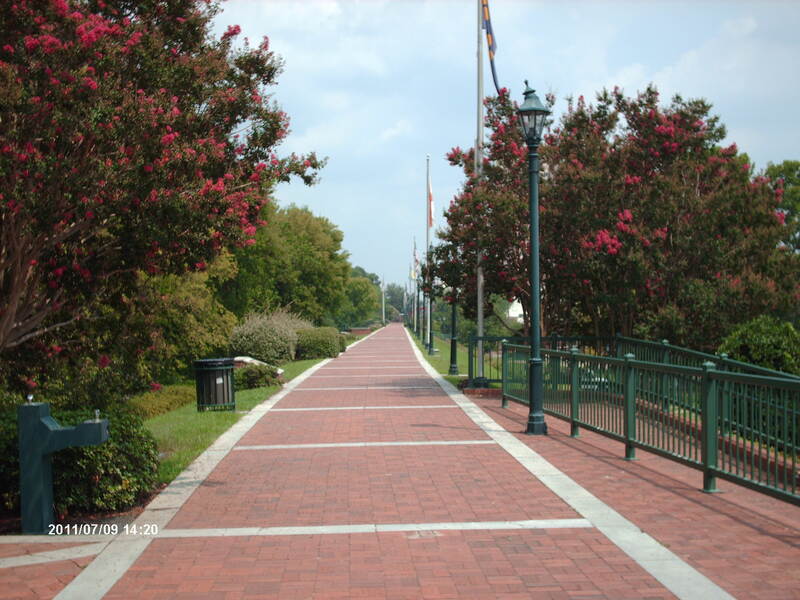 One of the exits of the Morris Museum of Art leads to the Savannah Riverwalk. 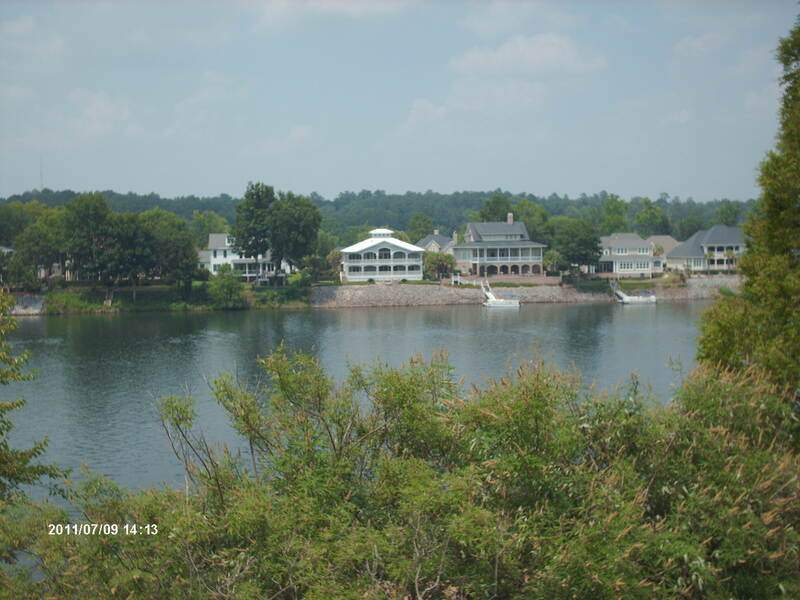 The residential neighborhood across the river was built within the last 20 years. It used to be beautiful woods. I think people who live in expensive houses on rivers are stupid. The next big flood will wash all those houses away. Developers should have never been allowed to build there. The Riverwalk. Man, it was 100 degrees when we walked down this. My last day trip of the summer to Anthony Shoals in the Broad River was a disappointing failure. Anthony Shoals Road is a forked, one lane, gravel/dirt road. It’s within a public area–The Broad River Wildlife Management area–but there were private property signs and barbed wire up and down the lane. I saw dilapidated houses and notices warning people not to trespass, fish, or hunt. I thought this was strange for state-owned land, the purpose of which is to provide land for hunting, fishing, and birdwatching. The road was in much better condition than the one in the Yuchi WMA, but still I nervously feared getting stuck. We were really in the middle of nowhere. If the car got stuck, my daughter and I could just walk out, but my wheelchair bound wife would have to wait for rescue–a godawful scenario. I had scouted the area from satellite photos. I knew that if we stayed on the left hand side of the fork we would reach a big flat rock where the shoals would be visible for my wife in the car. The lane led us to a big field and I looked to the right and could see the shoals about 1/2 – 1 mile away and wrongly assumed I was on the wrong fork. The next day I realized that if only I stayed on the left fork, we would have made it to Anthony Shoals in about 10 minutes. Instead, I went all the way back to the fork and went down the other one where we found the lane blocked by a fallen tree. I gave up, thinking the way was blocked–though the next day I understood both led to the Shoals. As a consolation, we visited a nearby campground on the Broad River. The campground manager gave me a 20 minute courtesy pass, but between all the no trespassing signs on Anthony Shoals Road and his reminder not to stay longer than 20 minutes and picnic or he’d charge me $18, I felt harrassed my human rules and regulations, even though we were in the middle of nowhere with a population of 5, including us, the campground manager, and his wife. I only stayed for 10 minutes but saw a great blue heron, 2 egrets, an osprey, a turkey vulture, the bottom carapace to a very large turtle carcass, and a willow tree-covered island. Because of low batteries, none of the pictures I took remained on the camera’s file. The Broad River is remote, rich, and packed with wildlife. I’ve been kicking myself for over a week for not continuing down the left fork of Anthony Shoals Road. I only felt worse when I read the following blog about a kayaking club that traveled down the Broad River several times over the last year. This blog author says they saw a family of 5 otters, a beaver lodge, a bald eagle, and a yellow crowned night heron. Now I’m convinced I missed all that because I didn’t stay on course. Instead, I got aggravated by a cranky old campground operator, intimidating no trespassing signs, and my own confusion. This winter I hope to visit the Moody Nature Reserve and next summer hope to see the Land Between the Lakes. I hope those trips are more rewarding than a couple of the aborted expeditions I took this summer. A photo from the above mentioned blog of Anthony Shoals and some rare Shoals Spider lillies (Hymenocallis coranari). I’m still pissed that I missed it when I was probably just 10 minutes away. But it’s a 2 hour drive from my house and I hate those one lane dirt country roads, so I doubt I’ll ever make the trip again. Archaelogists believe they’ve found evidence of a bison butchered by humans 14,000 calender years ago. In 2003 workers digging a pond on Orcas Island, which is adjacent to Vancouver Island in the Pacific Northwest, uncovered a complete skull of an extinct bison (Bison antiquus) along with 97 bones from the same animal–the most complete specimen ever found. One of the workers kept it in a box in his toolshed until 2005 when he finally turned it over to Stephen Kenady, a local archaeologist. Map of Orcas Island. These islands used to be part of the mainland during the Ice Age when the ocean receded due to an increase in glacial ice. Many fossils of Pleistocene mammals have been discovered in the region, including other bison fossils, giant ground sloth, and giant short-faced bears. Low acid bogs are abundant here, explaining the abundance of fossils. The Paisley Cave pre-Clovis site, where 14,000 year old human coprolites were discovered, is also nearby. Upon examination of the bones, Dr. Kenady, Randall Shalk, and Robert Mierendorf determined the animal had been butchered by humans. The taphonomy of the bones–green fractures and cleaver-chopped bone–strongly matched those of other known butchered bones from Clovis and post-Clovis archaeological sites. Bones from the best edible cuts were missing–another clue. And the bones weren’t scratched as if they’d been water transported which would be an explanation for how they could resemble being butchered. The scientists believe the animal either was killed by humans or died naturally on a frozen pond in winter. During spring the ice melted, and the bison sank to the bottom of the pond to become buried under mud when the body of water silted over and became a low acid bog. Skull of Bison antiquus. This species of bison had horns intermediate in size between extant modern bison (Bison bison) and the also extinct long-horned bison (Bison latifrons). From google images. Photo I took of a long-horned bison housed at the Georgia College Museum in Milledgeville. This fossil was found at Clark Quarry near Brunswick and is the only complete skull ever found in the state of this species. Photo I found of long-horned bison horns from google images. I added this one because I like the size comparison with the person in the picture. The modern bison is smaller than both Pleistocene bison species. Bison antiquus was on average 25% larger, meaning they grew to 7 and 1/2 feet tall and 2400 pounds. Bison latifrons was even larger. There are a number of possible reasons why Pleistocene bison grew larger. The Pleistocene environment may have been a richer foraging environment, and they needed to grow larger to battle large carnivores such as giant panthers, saber-tooths, and dire wolves. The smaller size of the modern bison may be an adaptation enabling them to run longer distances to avoid human hunters. The evolution of a smaller size may mean they reach sexual maturity and can breed faster to keep up with the toll of human hunting. The extinction of large carnivores, and the ascent of human populations likely shaped this evolution to a smaller size. Both species occurred in Georgia, and they overlapped geographically and temporally. Bison latifrons may have been a lowland swamp species much like African water buffalo; Bison antiquus may have been an upland species, preferring hilly dry regions. It saddens me that today there are no wild bison left in the southeast. You are currently browsing the GeorgiaBeforePeople blog archives for August, 2011.